Corylus avellana contorta is a fantastic and unusual looking shrub that carries golden-yellow catkins on contorted stems, and it is these that form the main attraction of this woody plant. 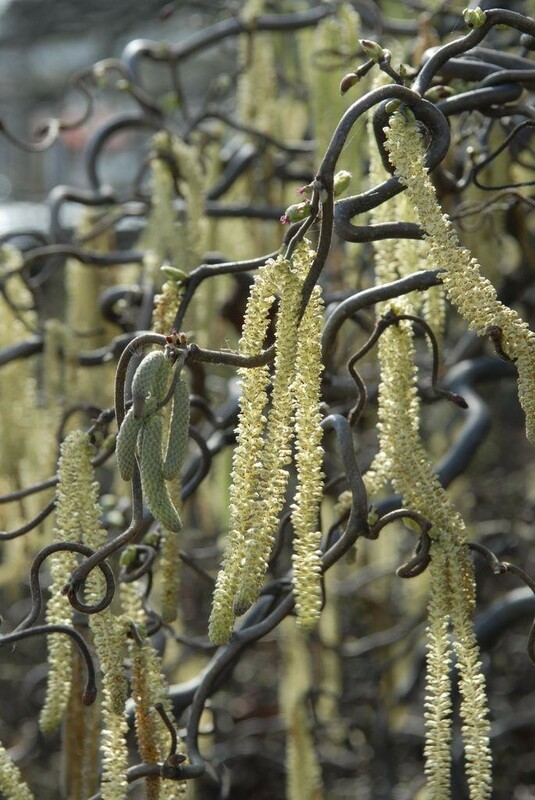 Known as the corkscrew hazel, it is ideal for planting towards the middle of a sunny garden border or in a large container. The twisted stems, much-valued by flower-arrangers, provide a curious and unusual focal point. This plant is really something to get people talking! Fresh green foliage through out the year, turning golden yellow in autumn before it falls. The bare twisted stems look particularly stunning in winter when covered in ice and frost. Something both architectural and unusual. Supplied as 100-120cm+ tall plants in approx 3-5 Litre containers.